As a design/land surveying professional, we have struggled with this process. The purpose of these utility locate services is to identify and protect underground utilities from excavation activities. Although each state defines excavation differently, our land surveying services do generally include some excavation activities (including the location and setting of parcel corners along the right-of-way). However, some of our activities are performed for the purposes of design and not excavation (at least not immediately). As a result, we often get pushback from utility providers who are unwilling to locate utilities for pre-design activities, thus making it difficult for us to show underground utilities with accuracy and meet the challenging timelines required by many clients. We completely understand the challenges of these utility providers. 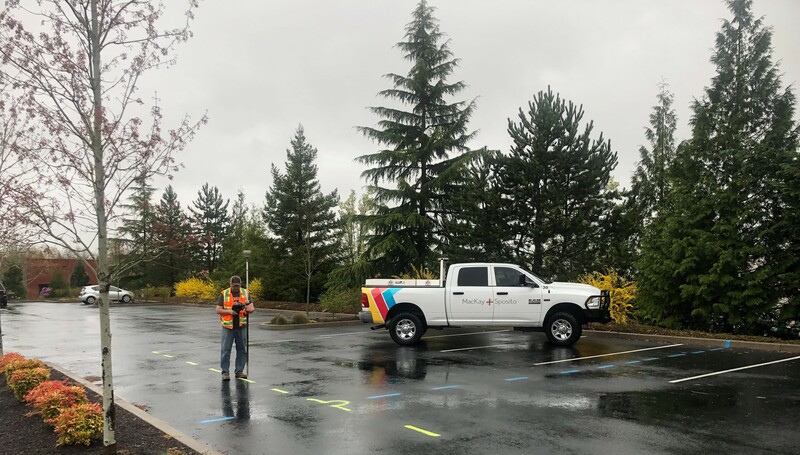 Their efforts to locate underground utilities are labor intensive and costly, and most providers are understaffed to perform these locate services. However, waiting for critical underground locate information until excavation takes place at the time of construction is an untenable solution. At that point, significant design and permitting efforts have been expended and local agencies have reviewed our utility designs. Identifying conflicts at the 11th hour would result in costly rework and potentially expensive excavation impacts to the client. I have been involved in recent conversations in Washington at the State level about upcoming changes to the regulations impacting both excavators and facility operators (RCW 19.122). Some of the discussion has revolved around the idea of creating a design locate ticket (which is currently available in Oregon). This would recognize requests that are made to support design work and extend the 2-day response times to 10 days, but still require markings to be placed on the ground. This sort of solution would be a step in the right direction to accommodating both facility operators and our design clients. In the meantime, our approach to managing call locates for topographic and utility surveys is to be empathetic about the challenges utility owners have to staff these locate efforts. We are forthcoming about the nature of our requests and flexible in the timing of our needs. We have also met with utility staff in-person to communicate the timing and nature of our needs and try to use their GIS records whenever possible. As always, we believe relationships are key to the success of our projects. It should be noted that we currently provide design services to many of the utilities who are resistant to provide locate services for pre-excavation activities. As a consultant, we are being asked to prepare a thorough topographic survey to advance their permitting, design, and construction efforts. And in some cases, staff in other parts of their organization are unwilling to locate impacted underground utilities. This is puzzling to us, and it suggests that better communication within these organizations would help our case. At the end of the day, our desire is to provide our clients with cost-effective and accurate topographic and utility surveys in a timely manner. This requires that we can accurately tie underground utilities which have been marked on the ground by their utility owners. We are eager to work in cooperation with our clients and the utility owners to ensure our locate requests are manageable and appropriate for the work at hand. I’d love to hear your thoughts. Have you had experiences navigating the call locate challenges I’ve discussed in this post? If so, how have you successfully handled the shortcomings in our current system? Email me at cmeritt@mackaysposito.com to share your experiences.